Born and raised in Chicago, IL, John was educated at Lewis University in Lockport, IL before graduating from St. Meinrad College in St. Meinrad, IN in 1974. He continued his studies in St. Meinrad’s School of Theology with intentions of becoming a priest. However, in 1976 he was requested to teach religion at a Cheboygan Catholic School and remained there until 1978. After teaching and choosing not to pursue the priesthood, John learned he could apply his compassion and life experience in to helping others. 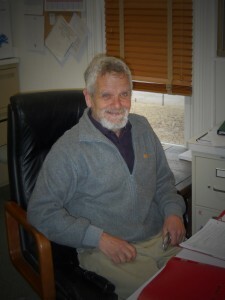 John begins his 10th year at Harbor Hall Residential as our Detox Coordinator and Counselor. He manages the detoxification process at the Residential facility, and facilitates with those whom decide to enter the Residential program. John is also our Supervisor of Evening/Weekend Tech-Staff. John is beloved by the clients because of his spirit, commitment and passion to guide men into sobriety.